I'd been witness to a colorful sunrise the day before and was hoping for another burst of color this morning. However, the Atlantic had another plan in store. As the first light started to appear it was obvious there was significant cloud cover all the way to the horizon with patches of rain. There was almost no chance of seeing the sun but I was holding out hope the lighting would still be good and provide some structured, dramatic skies. 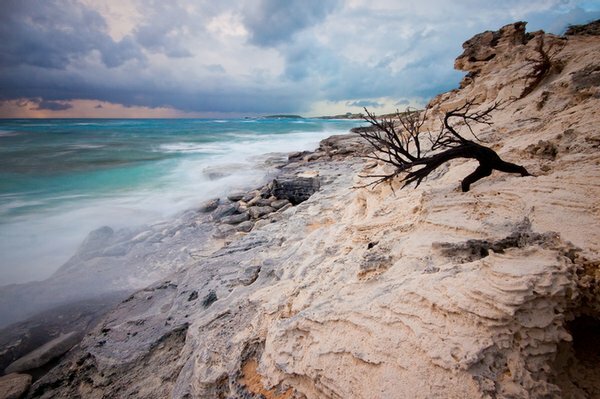 Taken at the northern Atlantic beach on Staniel Cay, Exumas, Bahamas.